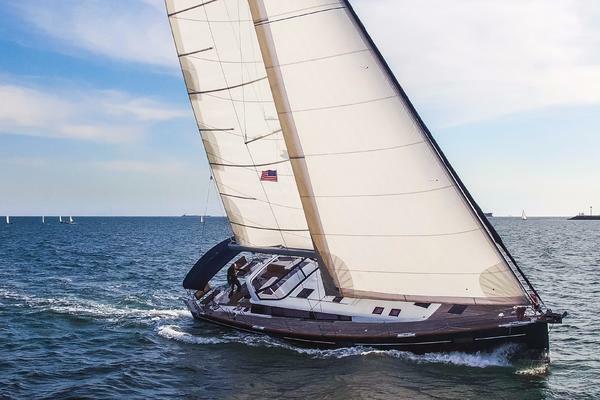 OC48 #373Beneteaus Oceanis 48s alluring and sleek silhouette offers a deck plan that's optimized for cruising, she is perfectly proportioned and functional. Numerous options to maximize space and efficiency distinguish her from others. She urges you to set off on long cruises and experience enjoyable Adventures.Every new Beneteau comes standard with a 3-year stem to stern warranty and a 7-year structural warranty. United Yacht Sales New Jersey would love to guide you through a personal showing of this 48' Beneteau Oceanis 48 2019. This yacht for sale is located in Fort Lauderdale, Florida. For pricing details or a showing please contact us by filling out the form on this page and we will get back to you shortly!